A minimal suite featuring clean type and intentional negative space. Available digitally printed, letterpressed, or foil pressed on card stock. 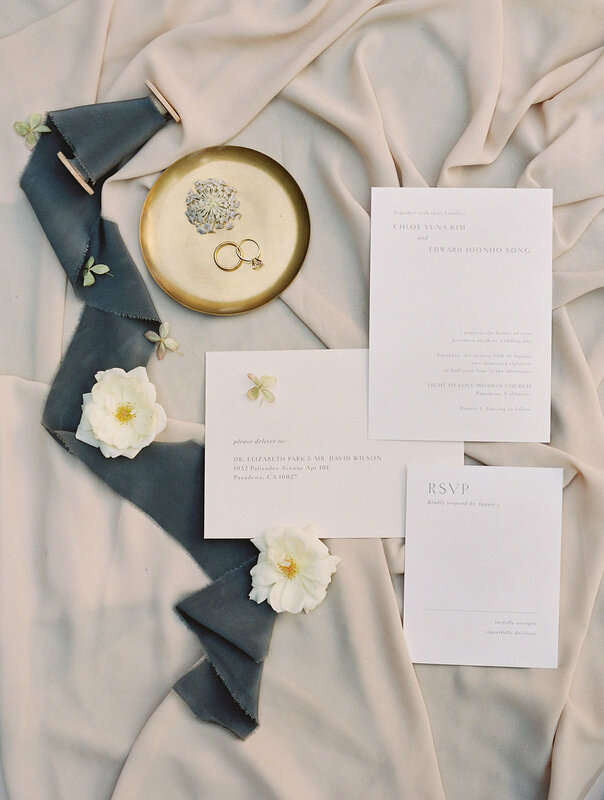 As this is a semi-custom suite, the overall design layout and format are fixed, but wording, calligraphy, and color palette can be tailored to your special day. Digitally printed addresses are a budget-friendly yet still elegant alternative to calligraphy addressing. Pricing includes digital addressing for reply envelopes. Addressing for outer envelopes can be ordered here. Addresses will be formatted as pictured to match your suite.